Premature infants (preemies, as they're affectionately known), might start off on a preemie formula that's specially tailored to their needs. But how long should they be on it and when should they switch back to regular formula, un-supplemented breastmilk or cow's milk? Learn about the distinct nutritional needs of preemies and how you can provide for them. 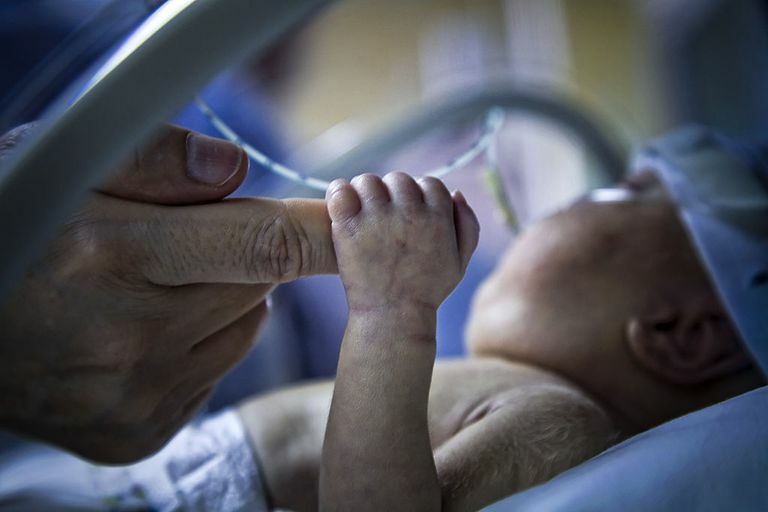 Premature babies are small and immature at birth. They didn't have nine full months in the womb to grow and store fat, and some can't tolerate full milk feedings right after birth. As a result, preemies are often smaller than full-term babies at the same corrected age. Preemies who are underweight early on may have problems as they grow, including trouble in school and small size as adults. In the NICU, when preemies first start taking milk feedings, doctors start with small amounts of formula at a calorie ratio that mimics breast milk. As babies get more used to feedings, doctors may start using higher-calorie milk to help babies grow more quickly. These formulas are designed for newborn preemies. They have more protein than others and can be mixed together to offer higher-calorie preparations. In order to help preemies have good catch-up growth, doctors may tell parents to feed their babies special preemie formulas at home or to mix powdered human milk fortifiers (HMF) into their breast milk. Preemie formula and HMF have more calories, protein, vitamins, and minerals than regular baby formula or breast milk, and are designed to help babies grow faster. Common brands of preemie formula include NeoSure (by the makers of Similac), EnfaCare (an Enfamil product), and Nutriprem 2 (by Cow & Gate). If your doctor recommends NeoSure, EnfaCare, Nutriprem 2, or human milk fortifier, it's important to keep using them for as long as your doctor recommends. Depending on your baby's unique needs, that may be until your original due date or until three, six, or even 12 months later. If there's a specific reason why you want to stop using preemie formula, talk to your doctor. Some babies do better with hypoallergenic products or lactose-free mixtures, although these formulas might not have the same nutritional profile as preemie formulas. Some moms don't like the hassle of pumping breast milk so that HMF can be added. By working together with your pediatrician, you can come up with a feeding plan that will work for your baby.